While organizing the lives of her many clients as an organizing expert and a frequent guest on A&E’s Hoarders show, Dorothy Breininger learned to face her own clutter, and lost seventy-five pounds in the process. In this one-of-a-kind book, she tackles downsizing from the much-needed perspective of what lies underneath our clutter―metaphorically, physically, and emotionally. 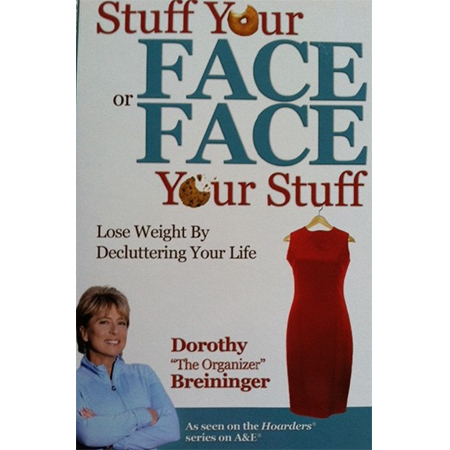 With some of the most extreme and memorable true stories from the Hoarders show, Breininger reveals what our clutter is trying to tell us and how it relates to our struggles to lose weight and keep it off.